All year long I try to volunteer as much as I can, but I feel like in November I need to step it up. It is Thanksgiving after all! 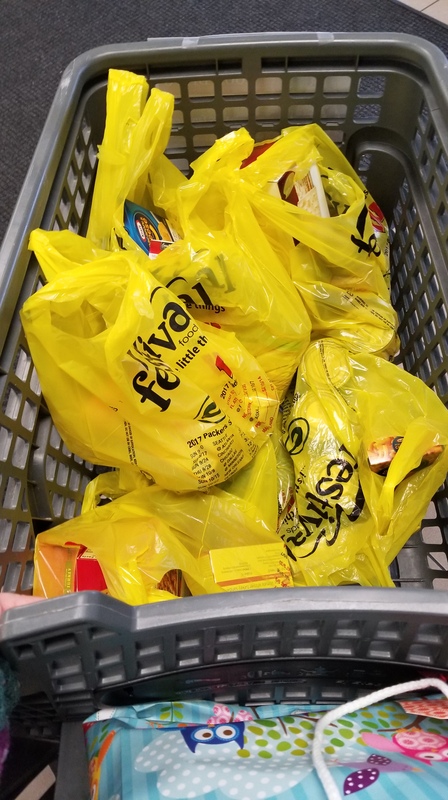 This is the second year in a row that I have volunteered for the Goodman Community Center Thanksgiving Basket Drive that will provide over 3,500 families in need with a Thanksgiving dinner with all the fixings. 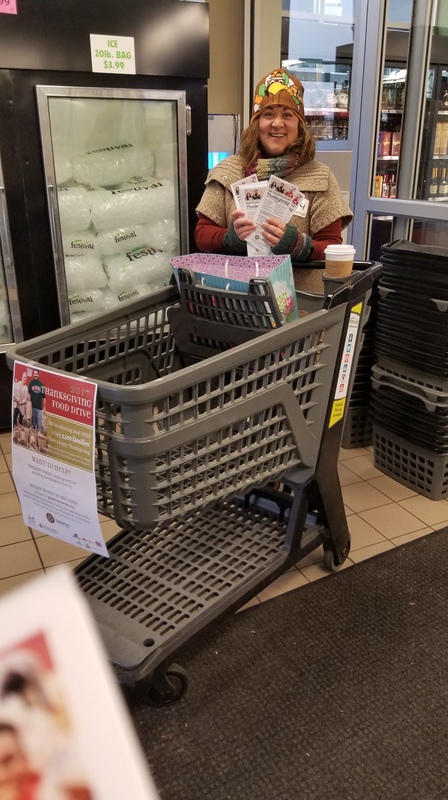 My location was at the Festival Foods store in Madison to handed out flyers with information about the program and a shopping list of needed items. My shift started off slow, but then again, I was at the liquor entrance and it was one hour to kick-off for the Badgers Game. But then, you get that one donor who puts their items they purchased in your cart, and soon becomes a domino effect. My shift was 2 hours and the time flew by. Something like this is not for everyone. You can’t be shy, you have to be able to approach people because if not, they will just blow right by you. Making eye contact is also key. Come on, admit it…. how many times have you walked past a Red Kettle, eyes low, and full steam ahead? I am guilty too. We don’t know a persons situation, so that is why you can’t judge who gives and who doesn’t, but the key is you have to ask. You thank them all and tell them to have a great day, and in turn, you are making a great day for yourself! Looking for ways to help and get involved in your community? November and December there are no shortages of volunteer opportunities. The Goodman Community Center needs additional volunteer to support the Thanksgiving Basket Drive. Support your local Thanksgiving Day Turkey Trot. The Festival Foods Turkey Trot is in ten location throughout WI. Give back no matter where you spend your Thanksgiving. Check with your local Volunteer Center. They will have a list of agency needs.